There are a many benefits to installing industrial louvers that you may not even be aware of. 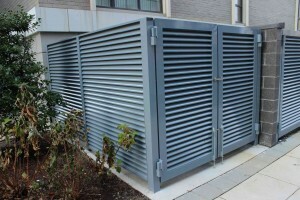 When it comes to fencing, louvers might be what you are looking for when it comes to your industrial property. Industrial louvers offer a different set of benefits that your typical gated fence is just incapable of offering, especially when it comes to security and your company’s wellbeing. Very few things are more important to your business than security, and industrial louvers are a great way to keep your company secure. Fences are typically easy to scale, making them targets for thieves who are ready to do a little climbing to steal what they want from you. Industrial louvers however, will give them a bit of a challenge when it comes to climbing and scaling. Potential thieves will be unable to climb over industrial louvers, making them the ideal security measure to keep your business safe. People will also only have limited access into your business too as a result of these tall and tough industrial louvers, making it difficult for people to get to places you do not want them getting into. Industrial louvers are especially worth the investment if your company contains sensitive materials like personal records, expensive and valuable goods, or large amounts of cash. Industrial louvers are also capable of giving your company an added sense of privacy that standard fencing lacks. Privacy is a trait several types of businesses can always use a tad more of, as it is a good way to keep your business definitively separated from any neighboring businesses, companies, and the public eye. If you desire to keep prying, peeking, and curious eyes away from your business, industrial lovers can help keep you and your clients’ privacy feeling safe. Two of the most important factors you need in any and all fencing you are getting ready to install are strength and durability, which industrial louvers were made to have. Built using steel or aluminum, industrial louvers are strong enough to take on whatever obstacle may be thrown at them. Industrial louvers are heavy walls which gives them their strength, and are durable enough to survive any type of weather, making it near impossible for anyone or anything to bring them down. This entry was posted on Friday, February 23rd, 2018	at 4:41 pm	. You can follow any responses to this entry through the RSS 2.0 feed. Both comments and pings are currently closed.